Thank you to all the readers of excerpts of Iris Murdoch's The Sea, The Sea. 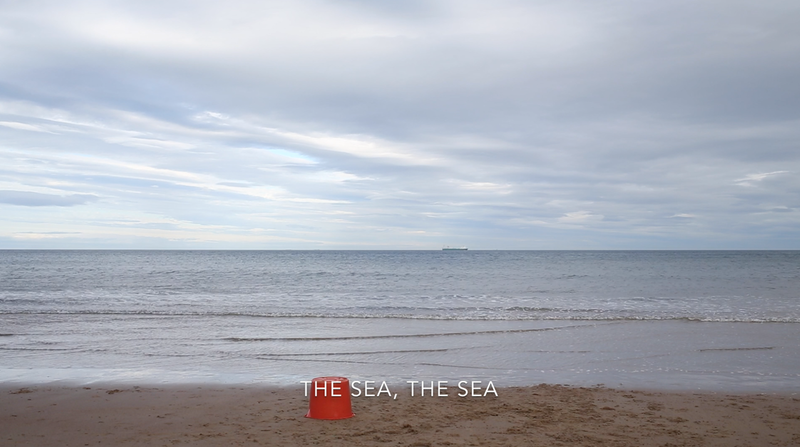 This short film, made at Skinningrove, North Yorkshire in Autumn 2018, responds to Murdoch's novel, first published in 1978. The bucket acts as a kind of stage, an allusion to the central character Charles Arrowby's theatrical background and his sense of self importance. However, rather than Charles' rather pompous oration, it is the women readers, their wonderful dogs and Skinningrove itself that take centre stage in this film, a collaboration with Rhys Baker. To view the film, click here.